It can happen to anyone. One day we are an active and vibrant member of our community. We serve at church and are dedicated employees. Our homes are filled with laughter, excitement and love as we sit around the dinner table and share memories. But one day something small takes place. For Ashley it was an ankle injury. She did not think much of it at the time. But after the doctor prescribed her narcotics to help her deal with the pain a small pebble was dropped that would ultimately create an avalanche. Consistently, Ashley would find reasons for more pills and when doctors caught on she would do whatever it took to get more. As bigger and bigger rocks came loose and her life began a free-fall friends and loved ones tried to help but the momentum of the rocks coming down the mountain was too much. Legal troubles also started small. Driving infractions and then more serious charges came. Ultimately, Ashley who is still a beautiful young lady found herself looking at serious jail time. The good life had unraveled and Ashley was left to consider how she might get it all back on track. For those with a criminal record, the time after their incarceration can be filled with fear and regrets. The Scarlet letter that society places on those with crimes makes it difficult to find employment, rent an apartment and even get car insurance. In many ways Ashley was lucky. She has a bouncy personality and loves people. That combined with a good deal of grit enabled her to get a job at a local hotel where she worked at the front desk. Soon she discovered that she loved it. She wanted to know everything there was to know about how to run a hotel so she returned to school while working full time. Along the way she ran into many obstacles but each time she took a breath and looked for ways to overcome those difficulties using any routes she could find. Ashley has learned much from her experience and often shares the following with the guests at the Miller Family Center for Life Change, “With a criminal record life is hard. Very hard. But if you get serious about life and establish healthy goals and surround yourself with good people you will succeed.” We all have a past that often haunts us and many will choose to blame others and make excuses so that we can take on the victim role. But to get past our past we need to take charge of our lives. 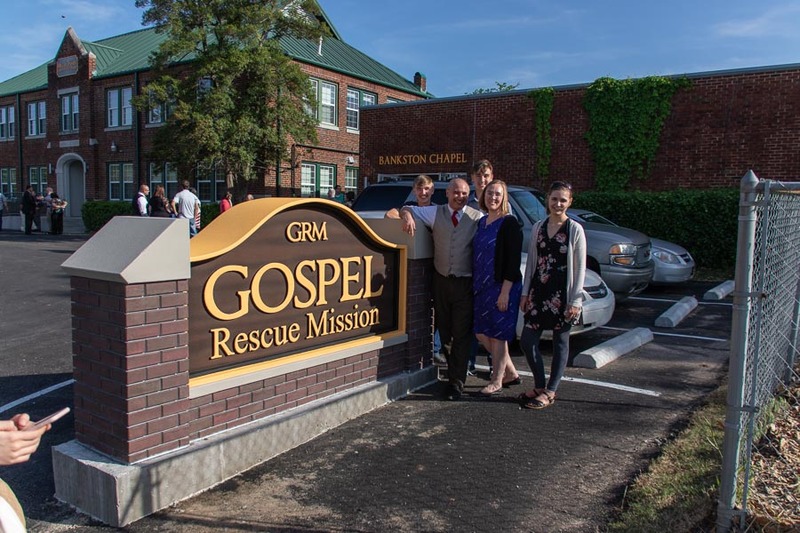 At the Gospel Rescue Mission our program, “Getting Ahead When Getting Out,” focuses on helping those like Ashley who have a label find a new life. They learn basic life skills that many of us take for granted along with the support and encouragement to push forward. Additionally, those who also struggle with addictions (again like Ashley) find hope and support in our Doorways of Hope program on Monday nights in the Bankston chapel. Today, Ashley prepares to leave her past behind and expects to own her own web based business in the near future. You might spot her working or volunteering around the community giving back to those who have supported her and encourage her to succeed.